Last month I started telling you about the Hamburger and East Frisian dialects, this month it is another low German dialect, the Grafschafter Platt. This post is possibly more of interest to myself than you, because I spent most of my childhood in Schüttorf, which belongs to the Grafschaft Bentheim and where they speak the Grafschafter Plattdeutsch ….. except I don’t speak it. I don’t even understand half of it. I can work out some of it, partly because it is close to Dutch which I can understand to an extent, but that’s it! So, I’m actually quite excited writing about the Grafschafter Platt today! First of all, the Grafschaft Bentheim (County of Bentheim) is in Niedersachen (Lower Saxony), right on the Dutch border. Three years ago I wrote a blog post about it, trying to persuade you readers to spend your holidays there. 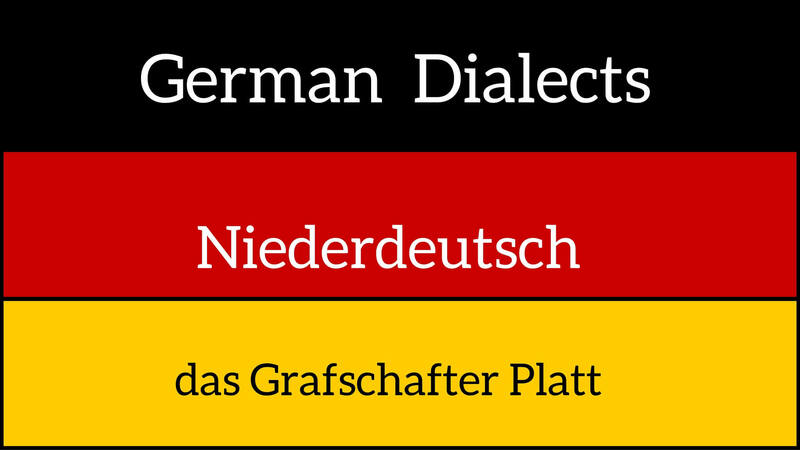 If you are tempted to go and want to impress the locals with your Plattdeutsch knowledge, you might want to download the Grafschafter Platt dictionary with a huge list of Pattdeutsch – Hochdeutsch words. In this video you meet a proper ‘Stammtisch’ and a visit to a now empty cotton spinning factory. 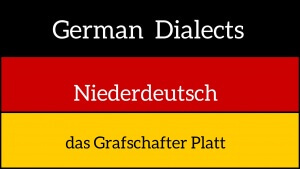 Here is another good reason for students of German to familarize themselves with various German dialects. Nothing but nothing does the soul of a language student more good than being mistaken for a native speaker by a native speaker (ie if Germans think you’re German). Two weeks ago we were on holiday in Ammerland. There was a knock at the door of our ‘Fewo’ (die Ferienwohnung). The gardener from next door was about to start cutting the border hedge and wanted to advise me that I might like to move my shiny new car before it got covered in green stuff (for those who don’t know, most German men would prefer to lose a finger than get a scratch on their beloved Auto). I thanked him for his concern and went downstairs with him to move my car to a place of safety, all the while speaking in German to him. 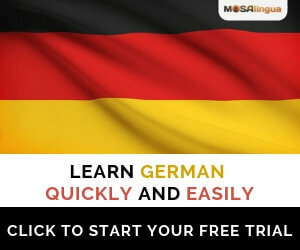 I learnt my German in Hessia where my High German speaking wife comes from. When I met her I spoke Hessian better than she did but after 27 years of talking to her in High German and 15 years back in the Uk, as far as I was aware my German has become distinctly ‘Denglisch’- for example: ‘Ich geh’ middaysleepens’. Anyways the gardener saw the Wiesbadener number plate on my hire car (we had been in Hessia the week before) and said ‘you’re from Wiesbaden?’ to which I replied ‘No, why?’. He said ” because of the ‘WI’ plate and your dialect, you’re definitely a Hessian’. He was gobsmacked to learn that I was infact English and haven’t lived in Germany for the last decade and a half. It seems the week i spent, before that incident, in deepest darkest Hessia had reawakened some of my Hessian vowel sounds and soft ‘gs’ (“Zwanzissssch” for 20, ‘Morssshha’ for Morgen). I walked round with a grin all day after that, despite the sodding Ammerlander rain! Great story, and I’m not surprised you walked around with a grin afterwards – what a brilliant compliment! Thanks, I might use it when I write my post about Hessian.